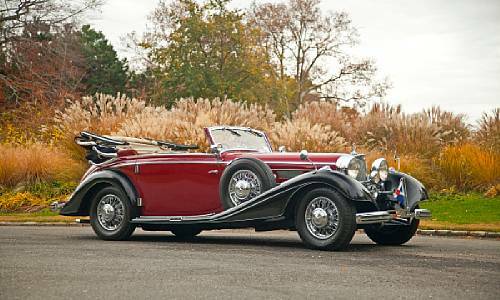 We featured a few cars from the January 19, 2012 Bonhams auction in Scottsdale, Arizona. One of them, this 1967 Fiat Abarth TC Berlina Corsa, sold for just under it’s auction estimate at $46,800. 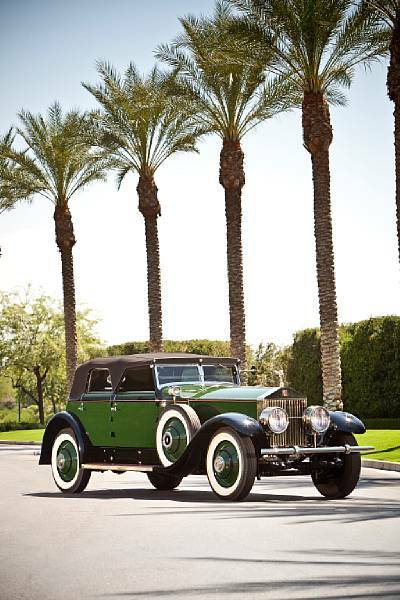 One of the big sales of the auction was this 1930 Rolls-Royce Phantom I Transformal Phaeton by Hibbard & Darrin. Once owned by actress Marlene Dietrich, it sold for $524,000. The car was given to her as a gift from director Josef Von Sternberg. The coachwork is slightly unusual with the convertible top that comes down between the windows. Interesting and pretty cool. Another top sale was the 1924 Isotta-Fraschini Tipo 8 Torpedo Phaeton that we featured last two weeks ago. Estimated between $425,000-$525,000, it ended up in the middle at $447,000. Two more of our feature cars did not sell: the 1967 Porsche 906 factory race car and the 1929 Duesenberg Model J Murphy Convertible Sedan. So if you missed them, there’s still time! However, the interesting 1954 Cramer Comet that we did feature fell right in the middle of it’s pre-sale estimate of $100,000-$150,000 at $122,500. It has a 1350 horsepower Allison aircraft V12. Somebody’s going to have some tire-melting fun. The top sale of the auction goes to this 1937 Mercedes-Benz 540K Cabriolet C. This 180 horsepower German beauty is a very desirable car. RM Auctions sold a few pre-war Mercedes “K” cars back in Monterey for millions and millions of dollars. Comparatively, this was a steal at $667,000. 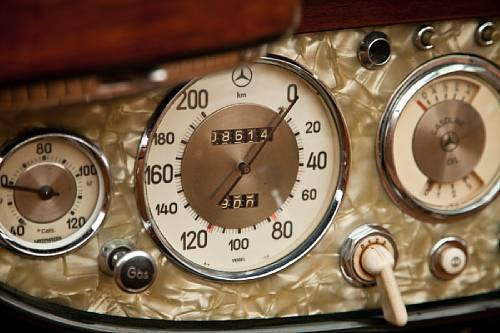 And look at the detail of the dashboard. These cars are magnificent. 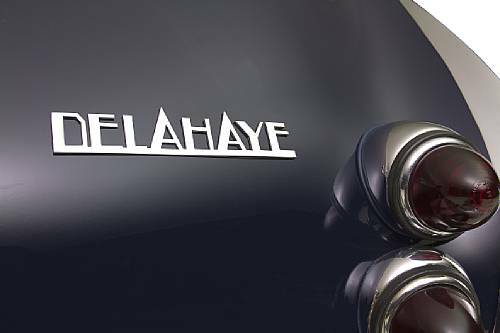 And finally, the final car we featured from this auction was a 1947 Delahaye 135M Three-Position Drophead Coupe by Figoni et Falaschi. It blew the doors off its estimate of $250,000-$350,000 and sold for $474,500. Looking back, that estimate was pretty conservative given the ravenous appetite for pre-war French classics (not to mention anything containing the name “Figoni et Falaschi”) that existed only a few years ago. Times and tastes change and auction houses have to be aware of that. But in this case it seems that good taste prevailed. For complete results, please check out Bonhams website here. This entry was posted in Auction Results and tagged abarth, auction, Bonhams, classic, classic car, delahaye, duesenberg, isotta fraschini, mercedes-benz, porsche, results, rolls-royce by classiccarweekly. Bookmark the permalink.